Atchoum may look like something out of the Jim Henson Workshop, but he’s no Muppet. 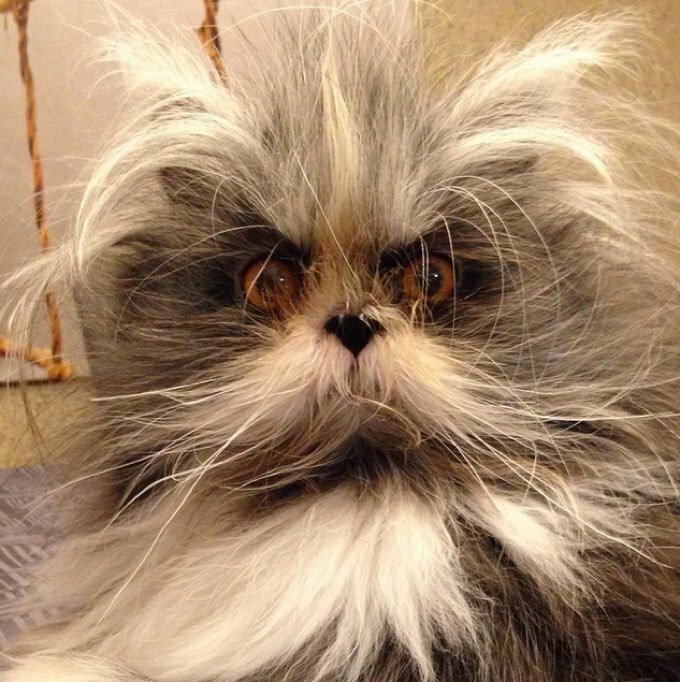 He’s a cat with a condition called hypertrichosis, also known as “werewolf syndrome.” So far, he’s the only known cat in the world to have the condition. Hypertrichosis causes hair to grow uncontrollably, which makes this cat difficult to groom. His large, moon-like eyes and shaggy coat do really remind us of a werewolf, but he’s the cutest werewolf we’ve ever seen. Despite his unusual appearance, he’s still a normal cat who loves to hide in boxes and play with sparkly toys. Atchoum is a popular kitty on Instagram with over 45K followers. Check out some of his furry photos!